We are delighted to welcome our keynote speakers, Dr Hayley Davies and Dr Marion Oswald to our inaugural conference. Dr Marion Oswald is a Senior Fellow in Law and Director of the Centre for Information Rights at the University of Winchester. Her research focuses on information rights, technology and privacy. She has a particular interest in the use of algorithmic technologies in the public sector and issues around children’s privacy in the digital environment. 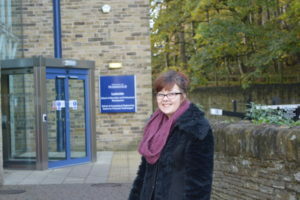 Dr Hayley Davies is Lecturer in Childhood Studies at the School of Education, University of Leeds. Her research is located in the social studies of childhood with a particular focus on children’s perspectives on and experiences of their family and relational lives and how children’s views can be used to consider and critique policy that affects them. Hayley’s recently published book explores many of these issues: Davies, H. (2015) Understanding Children’s Personal Lives and Relationships. Marion’s keynote, ‘Amusing ourselves to death’ at what cost to children? Will address the cultural phenomenon of ‘sharenting’ to consider ‘sharenting’; the ‘YouTube Families’ phenomenon; the way that younger and younger children now feature on mainstream broadcasts, with public comment via social media using the inevitable hashtag? Her talk will focus upon the grown-ups and how certain actions of responsible adults contribute to, and perpetuate, this digital culture. It will argue that law and regulation have fallen behind, and that privacy ‘expectations’ of children must be rewritten for this new information environment, ensuring that opinions and experiences of children are represented. Hayley’s keynote ‘Keeping each other safe: a role for digital animations in safeguarding children? ‘will present findings from her project ‘Keeping Each Other Safe’, which investigated children’s strategies for staying safe. Children’s ideas, about the value of technology and concern about not being heard, inspired Hayley and her collaborators to develop a set of digital resources for children and professionals who work with children to help children stay safe. The animated videos focus on children’s rights to be and feel safe, and the importance of finding a trusted person to tell. 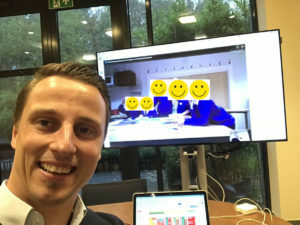 As part of the project’s participatory design methodology, 30 year 5 children from Preston Hedge’s primary school in the UK are working with the team to develop an online tool to support children’s safe online participation. Pictured are eight children from the UK Design team with Ruben Jans, UCLL Belgium. During this Skype meeting the children shared their vision for the online tool and ideas about the characters and design features. • Interviewed teachers and parents about their ideas in order that parents and teachers’ views are included in the design of the online learning platform. 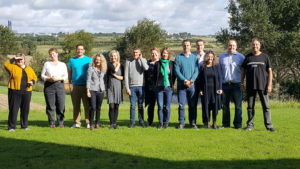 Autumn 2017 saw the second transnational partnership meeting hosted by VIA University partners in Horsens, Denmark. Partners from the UK, Greece, Belgium and Denmark came together to prepare for the first round of design workshops with children, parents and teachers. Three days of workshops and presentations saw the team experimenting with creative design approaches including modelling and arts-based methods. The visiting teams were also able to see how the methods had been piloted with Danish children and to work together to further develop the methods for hearing from teachers and parents, which will inform the design methodology and evaluation. The partners spent time discussing the design possibilities of the online learning tool and how to support children’s design input using digital technology. The team also enjoyed a presentation and hands on session on Children’s digital participation led by Lindsey Watson from the School of Education and Professional Development at the University of Huddersfield. 60 students from the VIA Faculty of Education and Social Studies (pedagogue education) in Horsens have been working with the CyGen team to develop the participatory design methodology in order to engage children in each of our four partner countries. The students interviewed children, teachers, pedagogues and educators, to identify a range of topics in relation to children’s digital literacy. Their suggestions about how to engage creatively with children will inspire the CyGen project in Denmark in order to create an online learning platform and materials and will be used (with relevant cultural adaptations) in the UK Denmark, Belgium and Greece. 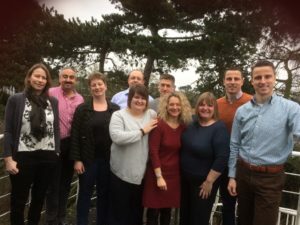 The University of Northampton, coordinator of the CyberSafe Generation (CyGen) project, hosted the first Transnational Partnership Meeting in February 2017 in Northampton, UK. This kick-off meeting was attended by academics and educators from our four partner countries (United Kingdom, Denmark, Belgium and Greece). A two-day schedule of workshops and presentations enabled the team to develop the participatory design and evaluation methodology and plan the design cycles in each country. 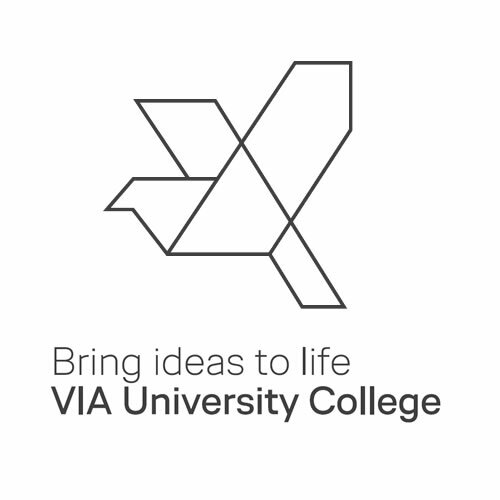 Partners heard presentations from the University of Northampton’s Executive Dean of Research, Impact and Enterprise, and the Head of the Centre for Employability and Engagement, who are funding a student intern to support the creation of the project website (anticipated launch date January 2018).